Three years ago today I started my blog, and what a wonderful journey it has been. This blog has led me into wonderful friendships and exciting new creative opportunities. November 26, 2007 will always be a special day to me. For the past 3 years I've used this date to give back to my readers, and to all of you who have kindly supported me from the very beginning. 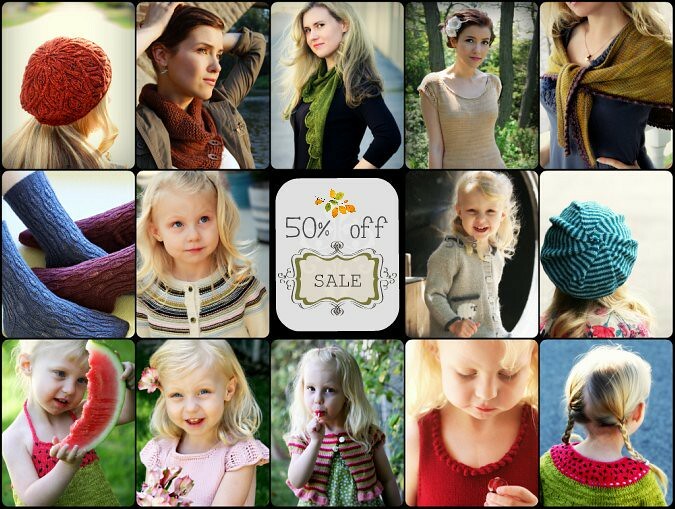 This year I will be offering a 50% off sale on all of my pattern pdfs. The sale will go on all day tomorrow, November 27th. From midnight to midnight PST. To receive your discount, please enter the special code "3yearsofnnk" in the checkout process. If you'd like to leave a comment for me, I would love to hear from you! I'd love to find out how you originally stumbled upon Never Not Knitting and how long you've been reading!